Vanguard Financial Plan Review: (4) Worth It? This posts concludes my series on the Vanguard financial plan. See previous posts for details about the questionnaire, the written plan, and the consultation. I think it was a good checkup. The recommended portfolio allocation was sound. It provided a good roadmap for getting on the right course. For this reason, it should be done early, not when you are already close to retirement. I wish I had done it when I was 25 or 30. Coming from Vanguard, the financial plan was heavily focused on the investment part. 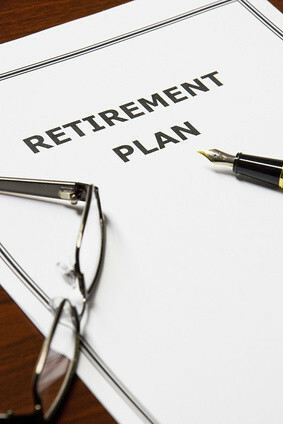 The recommendations fell in line with the composition of a Target Retirement fund. That’s not a negative. The recommendations by account still gave a clear roadmap for how to go from here to there while taking into consideration tax consequences. Inexperienced investors won’t be led down a wrong path. It would be better if the financial plan was broader in scope. The written plan didn’t cover much else except investing for retirement. However, I’d rather have one thing right than more things wrong. I read many reports from people who received a broader plan from companies whose names start much earlier in the alphabet than Vanguard, only to have been steered into expensive investments. The ultimate test: would I be happy if a family member takes the plan and follows it exactly? I would. The interactive tool for tracking your retirement outlook was useful but limited. For young investors, it didn’t allow inputs for salary increases above inflation, varied savings rates, one parent staying home for a few years, etc. For older investors, it didn’t allow inputs for lifestyle changes such as downsizing residence, health care expenses before and after Medicare, and so on. Because it only used the aftcasting method with historical returns, the outlook may be too optimistic. I would look elsewhere for a better planning tool. The advisor answered both investment and non-investment questions in the consultation session. After one session that comes with the financial plan, you get continued access to the advisor either by having Vanguard manage your accounts for 0.3% per year ($100k minimum) or through the free Ask a CFP Professional service offered only to Voyager Select or Flagship customers ($500k or more at Vanguard). For a young investor, having Vanguard manage $100k for a year at a cost of $300 is a better deal than paying $250 one-time because you then have the advisor for one full year versus just one session. I think getting coached by an advisor for one year early on will help shape a young investor’s path forward. $300 is a very good price for that. You can cancel after you are fully trained. If you already have $500k at Vanguard, I think it’s worth it to have an advisor on standby to answer questions. It’s free. You earned it. If nothing else, for the spouse. You will help create some jobs at Vanguard. It’s good to get an opinion from a trained, salaried advisor versus talking to friends, family members, or random people on the Internet. Why go it alone when you can walk with a guide? I know some financial advisors read this blog. If you are an advisor, please let other readers know where and how you do it better. I know some readers have a financial advisor. If you have one, please let others know where and how your advisor does it better. Thank you. Do you know if Vanguard accounts through your employer will count towards 500K total if you personal accounts dont exceed the minimum needed? I called Vanguard. If job related funds held by investment company, even if all assets in Vanguard products, no dice. Yes, they said “employer-sponsored retirement plans for which Vanguard provides recordkeeping services.” Your plan has to be administered by Vanguard, not just having Vanguard funds in a plan administered by someone else. Great advice! Is there a minimum for the Vanguard Personal Advisor Services? I did not see one on the webpage. KD – The minimum is $100k. I will add it to the article. Thank you Taylor for sharing these with fellow Bogleheads! Harry, you said that someone who is young with around $100k should pay the 0.30% for a year of management. What is the adviser actually going to do for the year? If they just throw me in LifeStrategy Growth or a target date fund, which I could do entirely on my own, I’m not sure that I see the point. I remember I didn’t know much about investing when I was 30. Observing someone managing multiple accounts as one portfolio in several index funds, with consideration for taxes, and having opportunities to ask why they were doing that would be tremendously helpful. They would also have someone to answer questions such as how much to save, 401k, IRA, Roth, down payment for a home, 529 plan, life insurance, mortgage refinance, what to do with employer stock plan, etc. etc. — basically everything I write in this blog! I guess I just don’t see the need for ongoing consultation with them. After consolidating my Fidelity IRA to Vanguard, I believe I qualify for the $250 plan and I may just do that to get a double check on what I’m doing, and answer the most important question that I think that you just mentioned, “how much should I save?” It’d be interesting to see what their answer is. Is that worth $250, I’m not really sure….I don’t have 100k in assets though, so I don’t qualify for the 0.3% anyway. I counsel my family to start early, the earlier the better, starting with VG STAR fund since It requires just $1000. Then pick small cap.index fund next and then a mid cap fund and finally a foreign index fund. The emphasis should be to fund the small cap as much as possible. I am Luke warm on bonds…prefer not to have them. I stumbled across this formula thru the investment college of hard knocks. Recently two economists (?) wrote a manual suggesting such a strategy and I’ve forwarded it to many. Frank, I am really interested in this blend you speak of – can you point me in the direction of this ‘manual’ you speak of? Dan: sorrty to answer so late…just noticed your comment. email me and i will send you a copy of their book The Elements of Investing…by Malkiel and Ellis. It looks like what you got was really good for what it was. I would have advised on different piece, but, then again, I don’t know your specific situation. 1) If someone gets a plan with me and has sufficient assets in VG (definitely not a stretch for most of my client base), then use them as a sanity check against what I’ve told the client. 2) For someone who goes to VG first (a very reasonable choice), use me to fill in the blanks (insurance, budgeting, career planning, real estate, entrepreneurship, estate planning, kids’ education funding, psychology, etc.) that the VG planner doesn’t cover. If the VG planner will do all of #2 for free, then DON’T PAY FOR ME! Either that, or use me for a couple of hours to sanity check everything that VG has told you. Based on what you’ve said, and without my own personal experience going through this (given that a significant portion of our net worth is in RE and small businesses), it seems like a really reasonably priced service. However, investing is only about 20% of personal finance. Jason – Thank you for your comments. I agree with your approach. After settling the investing part, if someone wants help in other areas Vanguard advisors don’t do or don’t do well, then work with an hourly financial planner. A bit of follow-up that I may well have missed in the articles or in the discussion related to the Vanguard Personal Services Advisor program. I spoke with VG today thinking it might be a good option. In order to participate beyond the asset minimum you will need to hold only VG funds. My case – I transfer all my current TDameritrade holdings to VG – they expect me to sell all holdings that are not VG @ $35 a fund and purchase VG funds that they will then manage. Management does not include tax loss harvesting. They do not take into account and manage your entire portfolio, i.e. say you hold direct CD’s outside of any brokerage account these are not included in your portfolio. They also will recommend actively managed VG funds if they are needed to help you meet your goals that have been developed. The service may be excellent for some – but have to look carefully at what they are offering as opposed to what you want or need. What is your 2015 recommendation on a Vanguard Financial Advisor for a person in their late 20s, that have less than $50K in assets through Vanguard? I guess it feels like there isn’t really a good fit for an advisor since I haven’t contributed the min of $50K-$100K. Would the up to $1,000 even be worth it, or should I find an external Financial Planner specific to Vanguard investments where I wouldn’t have to pay that ridiculous fee? When you don’t have $50k yet, how much you are adding to your investments is much more important than how you invest. You can just put the money in a Target Retirement fund or LifeStrategy fund. It will be reasonably diversified. I signed up with a Vanguard Personal advisor a few months ago. I am already retired and wanted my money invested conservatively. My advisor reallocated my investments from conservative balanced funds to Vanguard’s riskiest funds. Within weeks, I had lost $100,000. I fired my investment advisor, but I am still stuck in risky investments. I may never recover my losses. I am not rich. I cannot afford to lose this money. The investment advisor didn’t care about my comfort level. She was using some “one size fits all” approach that may work if I was 30 years old, but I am 65 years old and no longer working. I would encourage others in my position to please stay away from Vanguard financial advisors. I spent $1,000 in fees and lost a lot of money. Ann – Just curious, what were you in before and what were those Vanguard’s riskiest funds your advisor reallocated to? Did you agree to a plan beforehand? If so, did the advisor deviate from such plan or did you change your mind about the plan between then and now? I called Vanguard this morning and talked to an “Asset Transfer Specialist” in “Concierge Services” (the person who answered the phone when calling their 800-number). I have a new Rollover IRA account with Vanguard with about $150k and another $75k in a Roth IRA that I plan to transfer soon, and I might move my wife’s Roth IRA (~$75k) there too. I mentioned that I’d be interested in the one-time $250 Financial Plan Consultation with an Advisor. She insisted that Vanguard does not offer this service. She explained that I’d have to have $500k at Vanguard before I’d be eligible for the free version of this consultation, but that the $250 option for smaller accounts was not available. She continued to tell me that my only options are to enroll in their Personal Advisor Services program for 0.30% AUM fee or manage my accounts on my own with my own research/planning with no fee other than the expense ratios on the funds. So, does anyone else have recent experience with the one-time consultation? Has it been discontinued? Don – It appears the $250 paid option is discontinued. If you want you can enroll in the Personal Advisor Services program and cancel after six months. Good point, Harry. I assume cancelling PAS after six months leaves my investments in the same funds that they were when managed (no transactions are triggered because of my withdrawal from the program)? In that case, I’d get the benefit of the financial plan with PAS, regain control of my accounts, and then be responsible for re-balancing to maintain the strategy of the plan, all while saving some money on fees. I don’t think your canceling will trigger any sale. You know how the funds are invested before you cancel anyway. There is no minimum commitment. I doubt they will turn away re-enrollment. For someone like me with the bulk of their assets in a 401k not managed by Vanguard, it doesn’t seem like Vanguard has an offering that will help. I’ve got a separate 100k Vanguard account, but I wouldn’t want a financial plan that only looks at that and ignores all of the other assets. It depends on what you mean by help. At least back when I did it, the provided written plan included specific recommendations for how to invest in the 401k plan even if it’s not managed by Vanguard. I could ask questions about the 401k plan during the consultation. These count as help in my opinion. Of course they wouldn’t be able to help manage it by doing trades. Vanguard made some changes to how they provide advice and the financial plan. I don’t know whether the current service still works the same as before with regard to 401k plans not managed by Vanguard. I also noted in the first and second parts of this series a quirk you would have to work around if your plan has Vanguard funds as investment options. We are getting closer to retirement and are looking at Vanguard to move all are assets to and use them as a personnel (retirement) advisor. Yes, Vanguard only recommends their own funds and ETFs. If you want to keep some existing positions say because you’d have to pay a lot of capital gains tax if you sell, you can work out with them to leave those positions alone. Signing up for a service, getting the advice, then cancelling the service is a pretty douchey thing to do. You’ve obviously never worked in a service business before. But you will save 30 basis points. So it’s your call. My husband and I are retired and have used a personal financial planner for 30 years now. The cost of that is about $5000 year, so the Vanguard advisory plan looks really good and would save much of that amount. Almost everything we have is in Vanguard anyway. The exception is a Schwab account for me and a Schwab Roth for each of us. If we switch our planning to Vanguard we will either have to manage the schwab ourselves or transfer it over to Vanguard funds. I’m not sure if this would incur fees (cap gain fees?) as I know nothing about investing, etc. Ask about a brokerage-to-brokerage transfer which is commonly used to move retirement accounts from one institution to another without the (younger, non-retired) account owner withdrawing the funds and thereby triggering taxes/penalties. I’m honestly not sure if they can transfer the shares of the securities in which you are invested without selling them, but my guess is that they can, in which case you shouldn’t incur capital gains taxes on taxable accounts because you would not have sold anything, just moved it. It has been a few years since I looked into Vaguard PAS, but I believe they will advise on accounts under management of another brokerage (i.e. working folks might have a 401(k) that cannot be moved until employment is terminated), but they have to rely on you to implement their advice. My experience with this same situation – thinking I might want to use the Vanguard Advisory Plan. I could transfer all assets from another brokerage (TD Ameritrade) with no transfer fee. I had DFA funds, and Vanguard funds at TD. The problem for me was when organizing my plan, i.e. asset allocation they would only use the Vanguard funds. I couldn’t nor wouldn’t want to sell my DFA funds (tax implications, and they are great funds). It just didn’t work for me to not have all my assets included in my asset allocation – I wanted all assets organized so I knew when rebalancing was needed. FWIW – there are a number of “low-cost” good advisors that are mentioned in this thread. Like you I was paying about $5000 a yr. to advisor firm, it was Larry Swedroe’s, Buckingham Assets firm – they were excellent, no complaints. Then I went to another low cost firm couple yrs. Also very good – Purpose Wealth in Ohio. Then decided no need just simplify to 4-5 funds, figuring the amount of risk I want to take, rebalancing strategy and be done with it. This was all pre-retirement days, now that I’m retired I’m happy that I’m not paying the large advisor fee, and am confident I won’t be making MISTAKES.